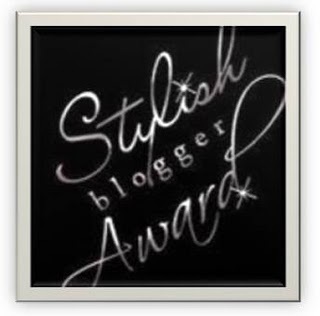 Couple of weeks back, i had the honor of receiving the Most Stylish Blogger Award from Sahana Suhas (Spicy Sweet)a veteran blogger. So as the tradition goes, here i am doing the honors for a few other bloggers & writing 7 facts about myself. 1. I have never tasted/touched/eaten curd. Ever. 2. I love being around little kids AND old people. I know, they are two opposite ends of the age spectrum. But they are both so full of stories – real & imagined that I find it very endearing. 3. I love climbing: railings, artificial walls, rocks, trees, just about anything. 4. I like the sound of the word ‘verbal diarrhoea’. Whoever came up with that? 5. I am fascinated by the Japanese culture & architecture. Want to visit Japan at least once before I die. Any sponsors, please?! 6. I hate pizza & pasta. Yes you heard that right! I can’t stand them!! 7. I am extremely, overly, completely, absolutely, utterly, enormously jealous of people who travel ‘on work’ or travel ‘for a living’. The globetrotting, frequent flyer, living out of suitcases, mixing business with pleasure types. Want to trade places? Phew! That took a lot out of me: writing about myself. What is wrong with me? Why am I whining about this? This award is for you Suzie. She is as new to blogging as me. Her forte is poetry. She writes such lovely short poems. The occasional prose write-ups are on diverse topics & equally good. Wish she had more time to devote for blogging because she is definitely a high potential blogger. Jayashri, hope you will accept this award. 1. Tell 7 things about yourself. 2. Pay it forward and award the Versatile Blogger to recently discovered new bloggers. 3. Contact everyone and let them know they've been awarded! Oh my my!!! Same pinch for points 2-7. And congrats for all the winners! :O :O I had my expressions like that! You have NEVER eaten curds! HUH! That's an achievement. Am so glad that I passed on the award to you!!! Got to know some weird things about you..
thank you Prashanth..u r very generous - now with words & intention (to sponsor the japan trip) & later with the cash i HOPE :00. First time on your blog! Let me compliment you -- you look really beautiful in a sari. And, congrats on winning the award. Nothing better than genuine appreciation from a fellow blogger. Point no. 1 amazed me. I assume that you are a South Indian and you have never ever tried curd :). 3 is quite interesting, 6 is again surprising, and I agree wholeheartedly on 7 :). Thanx for the compliment Rachna. True - appreciation matters -esp for a completely novice blogger like me. Ya m a sounth indian (Udupi to be precise) & my whole family LOVES curd. its just me - odd one. i find it too slimy & the pizaa too sticky! Congrats on the award.. No curd I love it so much ..
and same here I hate junk food I prefer Roti at home anyday and anytime ..
Oh my! if we ever meet for lunch I don't think we will ever decide on a place to eat - I love curd AND pizza AND pasta(separately of course! )!